With so many great shots along the way, you will probably be thinking about what you can do with all your pics. No worries, instax has some lovely DIY projects to help you use your photos to their full potential. Here are four ideas for your summer road trip to make your memories last a lifetime. Explore your creative side by crafting a scrapbook based on your amazing trip. Use pictures, colourful paper, stickers and any other memorabilia from your holiday to highlight the most exciting moments. Embellish your pages with glitter, coloured pens, ribbons and any relevant quotes. Select the photos you want to use and play around with different placements on the page before gluing them down. Then design away! For each stop you make, take a great location shot and then turn your image into a postcard. Glue your image down onto cardstock, decorate the front and write your greeting. Then write a special message on the inside to the recipient and include any other pictures or decor to complete your piece. Turn your table into a conversation piece with pictures of your travels. Select and clean your table, then select your pictures and determine how you want them organised on the tabletop. Glue them down and let it sit for five to six hours, then apply an acrylic sealant. Wait a few days before putting anything on top of it. While it’s easy to use your mobile to guide your way, your instax can also help. Take photos of the car park or intersections you need to remember to find your way back. Snap shots of landmarks along the way so you’ll not only have a great image, you’ll remember passing by it when you return. When you’re on holiday it can be great fun taking pictures, and there are so many uses for them during and after your trip. 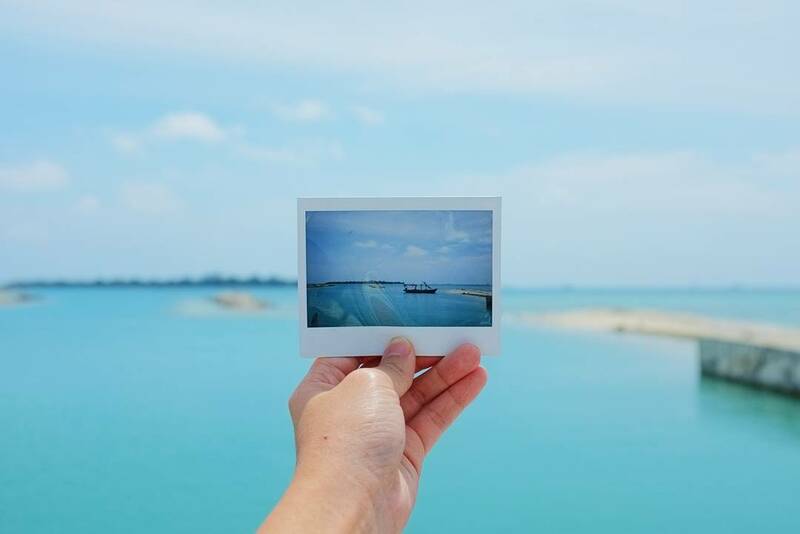 What are some of your clever tricks for using instax on a summer road trip? Let us know in the comments below and be sure to check out our end-of-school-year guide before the summer fun starts. Download “3 Easy Ways to Show Off Your School Year Memories with instax” today.